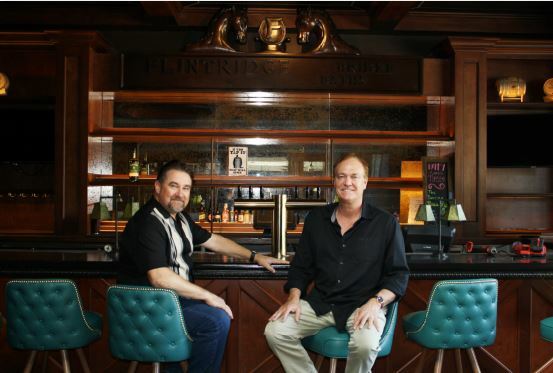 Rick Anderson and David Yost at the bar of the remodeled restaurant the Proper, which is set to open soon. The Proper, previously a high-end gin bar and restaurant, is rebooting this week in “proper fashion” with new owners and a different focus after a nearly seven-month absence in La Cañada Flintridge. NASA Jet Propulsion Laboratory’s Tom Hoffman, a project manager for the InSight Mission, discusses the spacecraft before 70 people at La Cañada Elementary School. 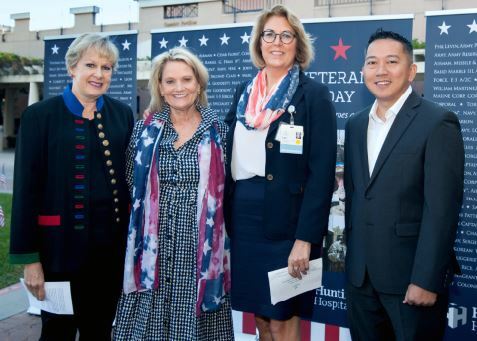 The Veterans Day flag-raising ceremony at Huntington Hospital included comments from Cindy Bengtson Budzyn, Leadership Pasadena executive consultant; Jaynie Studenmund, vice chair of the hospital’s board of directors; Dr. Lori J. Morgan, hospital president and CEO; and Lorenzeno Pereyra, a retired U.S. Navy corpsman. Huntington Hospital hosted its inaugural Veterans Day flag-raising ceremony at the entrance of the hospital as more than 100 nurses, physicians and employees — joined by family and friends — gathered to recognize the service of those in the United States’ military, past and present. The Maranatha High School varsity girls’ tennis team rejoices after defeating Woodcrest Christian and receiving its first CIF-SS championship since 2014. It was a feeling déjà vu for Maranatha High School girls’ tennis coach Arthur Hsieh, who could not help but have the Minutemen’s 2014 championship run in the back of his mind. The La Cañada Flintridge City Council revised its general fund policy on Tuesday by agreeing, in a 3-2 vote, to set the goal of keeping reserves at 50% of operational revenues. Councilmen Leonard Pieroni and Greg Brown were the dissenting voices, opposing any amount less than a previous 100% to 150% goal. A 14-year-old La Cañada High School boy was issued a citation for grand theft recently for allegedly stealing an LCHS girl’s wallet while on the free LCF shuttle after school, according to Sgt. Alan Chu, a detective at the Crescenta Valley Sheriff’s Station. 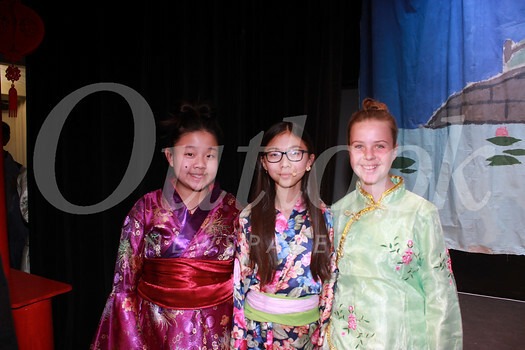 “It’s under investigation,” Chu said, noting that the LCHS school resource officer is now handling the issue.